Ahmedabad – India’s First World Heritage City. Importance of Trade and Commerce in its Cultural Evolution. 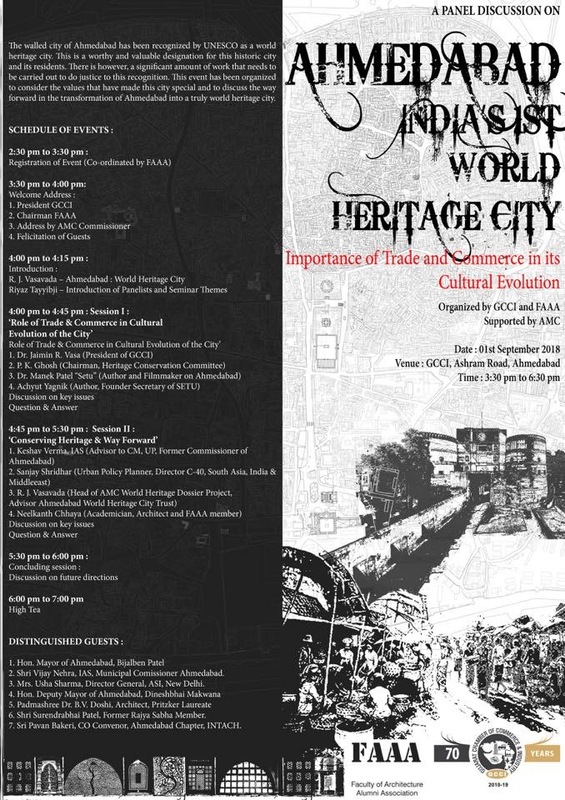 The event is organised by GCCI and FAAA, Supported by AMC. Timing and Schedule in the Image.